Spicy, hearty, cheesy and delicious. 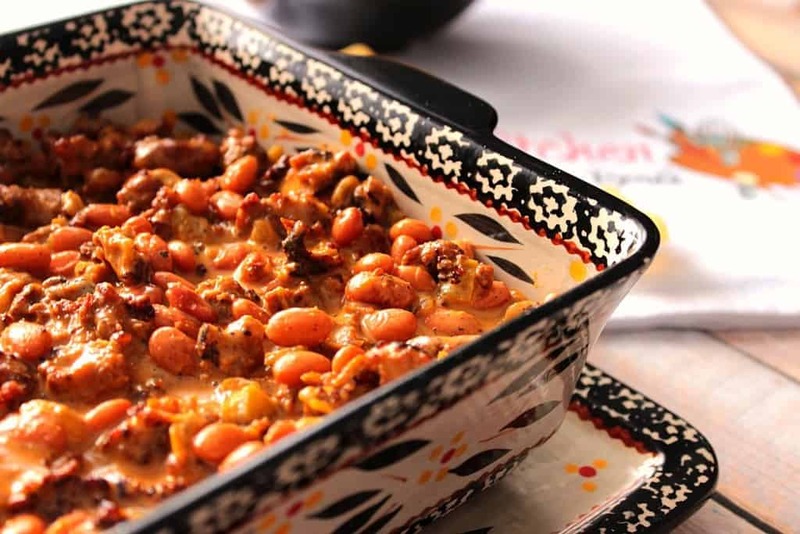 This Sloppy Sausage Bean Dip covers all the bases and will score you some serious points at your next party or tailgate. January 6th is National Bean Day, so I felt it only appropriate to share this tasty bean dip with you in celebration. It’s super simple to make and takes only a handful of ingredients. Sloppy Sausage Bean Dip for the WIN! 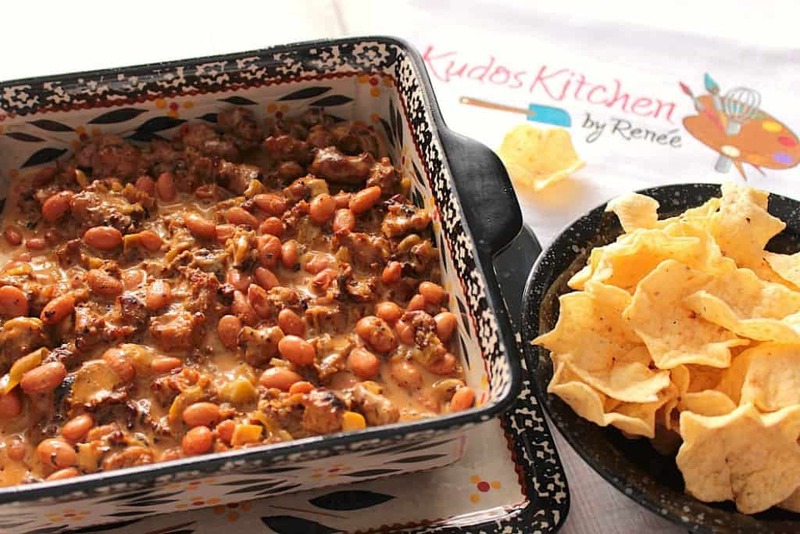 This Sloppy Sausage Bean Dip is the perfect thing to feed a hungry crowd at your next tailgating outing or if you’re hosting a party for the big game. The sausage and the fire roasted jalapenos add the right amount of meatiness and heat, and the beans and the queso add just the right amount of healthy fiber, and well, CHEESE! Something for everyone! Spicy, hearty, cheesy and delicious. 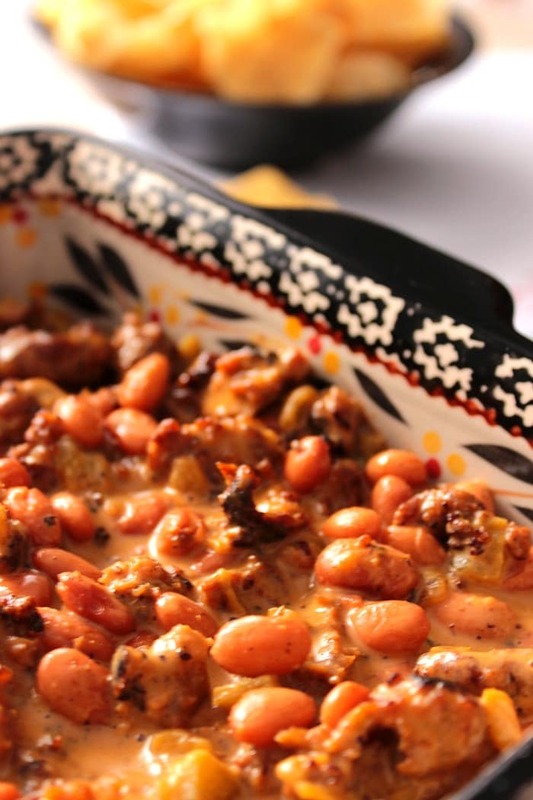 This Sloppy Bean and Sausage Dip covers all the bases and will score you some serious points at your next party or tailgate. In a large skillet over medium/high heat, brown the sausage stirring occasionally and breaking it into small bits as it browns. Reduce the heat to medium/low. Stir in the salt, black pepper, prepared queso, beans and fire roasted jalapenos. Stir well to combine and heat through. Spray the baking dish with cooking spray and spoon the dip evenly into the dish. Bake in a preheated oven for 20 minutes. Serve hot with tortilla chips or crackers. 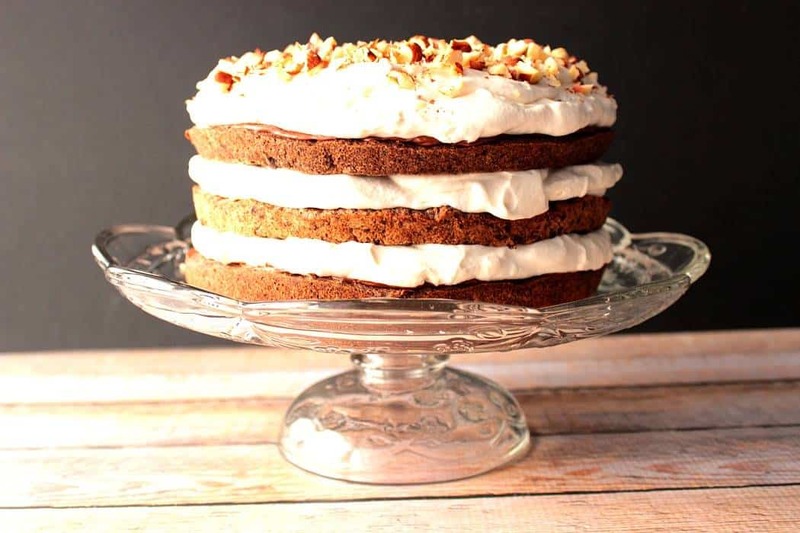 Don't be afraid to play with this recipe by adding and subtracting some of your favorite ingredients. Topping the dip with green onions and sour cream would be a delicious addition just before serving. 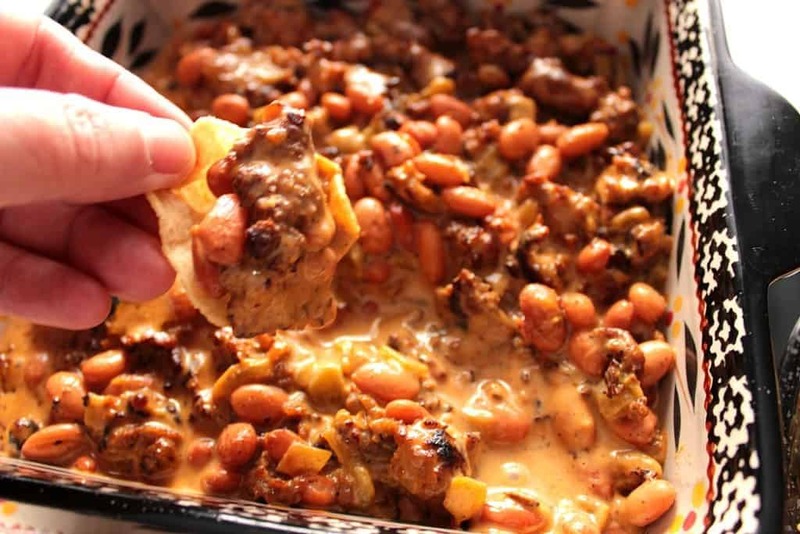 Once you set this Sloppy Sausage Bean Dip out, it’s going to go quickly, so grab your chips and get it while it’s hot! Did you notice in the first photo that there’s a tiny peek of my logo that I painted on a tea towel? That tea towel is the first thing I painted with my fun new logo. 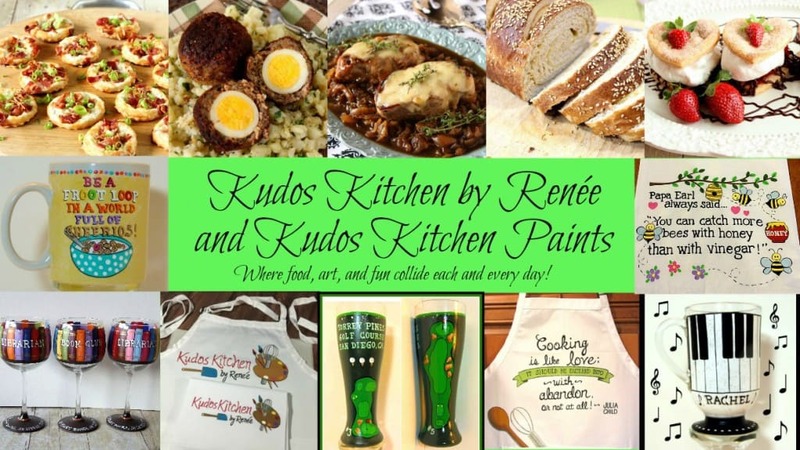 After that, I could hardly wait to paint myself an apron to wear while I work in the kitchen. All my aprons and tea towels are 100% machine washable after painting so even when I get it dirty (and you know I will), all I’ll do is throw it in the washer (no fabric softener) and dryer, and it will be as clean as new! If there is ever anything I can paint for you, from fabrics (aprons and tea towels) to glassware, please don’t hesitate to contact me or visit my shop on Wazala. Custom orders are always welcome, and I will happily work and design from any photo or description you send my way. I hope you’ve enjoyed my recipe for Sloppy Sausage Bean Dip as much as I’ve enjoyed bringing it to you. Should have any questions regarding this post or anything else you see on my site, please don’t hesitate to contact me directly, or leave me a comment in the comment section below. It is always my distinct pleasure to get back to you with a reply just as soon as I possibly can! Pinning because this would be awesome at a super bowl party!! There’s no doubt that this would disappear quickly at any Super Bowl party! Yum!! Pass me the dip! This looks fantastic! I would love to sit down with a big bowl of this a whole bag of chips! Looks so amazing! What?! I am ready to make this dip immediately! So easy! And what a cute new logo! I just thought of sloppy joes… can picture this on buns as well. Ok I need this dip in my life ASAP! You don’t even know how much I love me a delicious dip…yum! Love the logo on the tea towel! 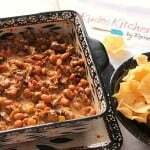 And this recipe looks delicious – love any sort of bean dip! i bet this dip is a huge crowd pleaser! Great recipe! 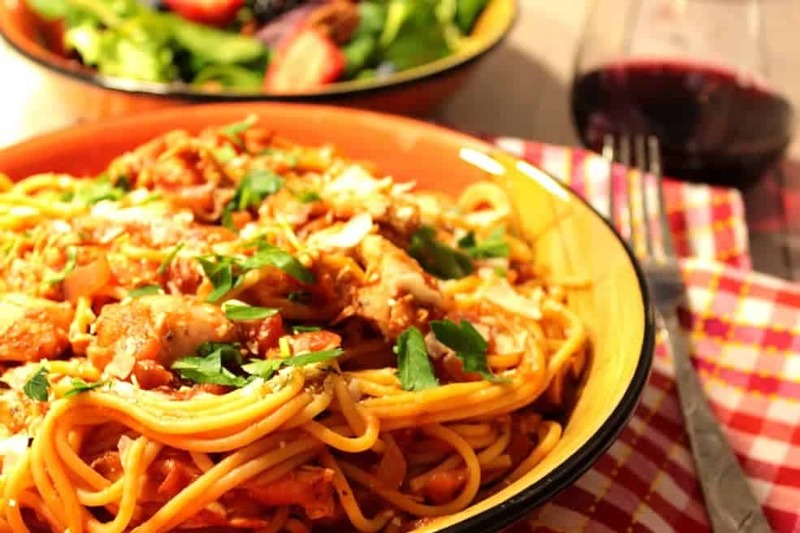 Great comfort food, and great for entertaining. What a pretty new redesign! 🙂 I love how clean it is. This dip looks so delicious, especially with that sausage! Thanks for the compliment on the redesign, Erin. I’m happy that you like it! There is a national bean day?! Who knew! 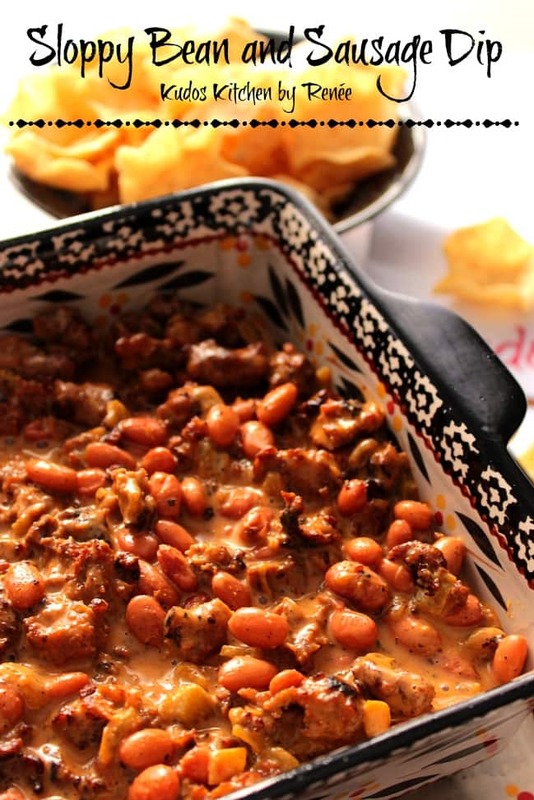 Well, I can’t think of a better dish than this sloppy bean and sausage dip! It looks so inviting and drool worthy!! This dip needs to be made for the next tailgate. My heavens it looks delicious Renee! National Bean Day, what, I had no idea that there was a National Bean Day. This dip couldn’t have been published on a better day! Perfect! Thomas would love this!